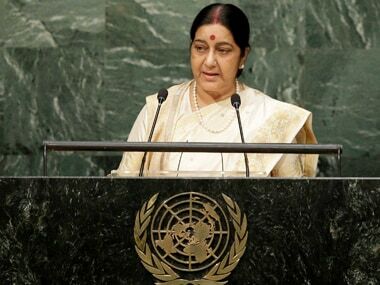 External affairs minister Sushma Swaraj made the first strike against the joint opposition presidential candidate Meira Kumar with a tweet and a video post regarding Kumar’s term as Lok Sabha speaker. The Congress party responded with its own tweet and video. And the daggers were drawn in this exchange between the ruling party and the largest opposition party. Presidential elections in India have traditionally been a keen contest with most political parties aligning to support one or the other leading candidate. Swaraj’s opening counter came as a surprise as she has kept herself out of contentious matters since becoming the Minister of External Affairs. But it is not unusual for her. She has played a prominent role in the last three presidential campaigns including the most highly contested presidential poll of 2007 that resulted in the election of Pratibha Patil, the first woman to be elected as the President of India. Sushma Swaraj’s recent tweet said: "This is how (then) Lok Sabha speaker Meira Kumar treated the (then) leader of opposition." Accompanying the tweet was a 6.23 minute video clip of her speech during the Budget Session in the Lok Sabha in 2013. She also retweeted an article published in the Pioneer newspaper of 2013 that said, “Speaker interrupted Sushma 60 times in (her) six-minute speech.” The article seemed to substantiate Swaraj’s retort. 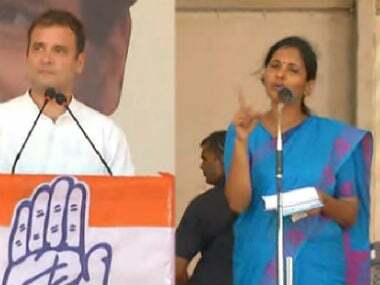 The video clip showed the minister addressing the Lok Sabha and about four minutes into her speech, the speaker (Meira) politely asking her to wind up her address. In the short video, Swaraj is seen praising the speaker (Meira) for never losing her temper which helped in the smooth functioning of the House. The external affairs minister is known to be social media savvy and was recently lauded by Prime Minister Narendra Modi for her effective use of social media to help Indians abroad during times of distress. 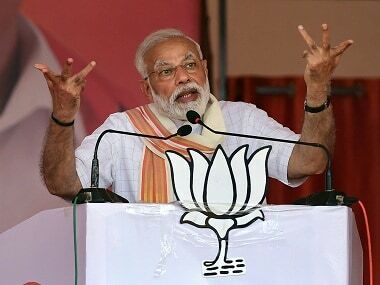 Heaping a high praise on his Cabinet minister, Modi told a gathering of the Indian community during his recent visit to the US: “It is now well-known in India — anyone in trouble tweets to Sushmaji, she promptly replies and the government takes prompt action." Any Indian living abroad now has faith that their issues will be resolved, he said. The 2007 presidential election was the most bitterly contested presidential election in recent times. The contest was between the UPA-Left nominee, Pratibha Patil and the BJP-backed independent candidate, Bhairon Singh Shekhawat who was vice president at that time. 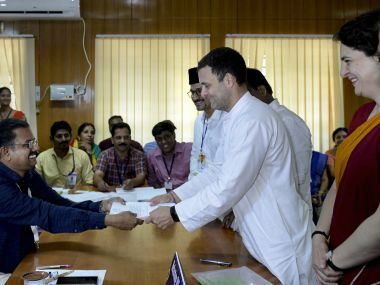 The BJP launched a full-scale attack against Patil, making charges of nepotism and irregularities in a cooperative bank and educational institutes managed by a family trust. Arun Jaitley also released a website www.knowpratibhapatil.com and a booklet carrying media articles, but the main part of the charge against the UPA nominee was led by Swaraj. As the NDA spokesperson, Swaraj held daily press conferences throughout the campaign period. Despite that Patil won the election with nearly two-thirds of the votes polled, to become the 12th president of India. In the next presidential election, which was held in 2012, Swaraj was the leader of opposition in the Lok Sabha. The BJP was beset with internal dissensions and a power struggle, and at that time it had not planned its strategy for the presidential election. In an informal interaction with the media, Swaraj ruled out a “political candidate” for president (which meant rejecting Pranab Mukherjee as the presidential nominee) and questioned “the stature” of Vice President Hamid Ansari as a prospective presidential candidate. Swaraj’s comments put the BJP on the backfoot when other NDA allies criticised her remarks even before the NDA had met to decide on its candidates for the two elections. The BJP eventually adopted former speaker PA Sangma as the NDA nominee whose name had been mooted by its allies, the Biju Janata Dal and the All India Anna Dravida Munnetra Kazhagam. Swaraj is a powerful orator and an aggressive campaigner, and the BJP has often used her talent for campaigning. In September 1999, the BJP nominated her to contest against Congress president Sonia Gandhi from the Bellary constituency in Karnataka. Swaraj ran a spirited campaign in Bellary and learned Kannada to make a credible showing in a traditional Congress bastion. A year earlier, in October 1998, Swaraj had stepped down from a Cabinet position to take charge as the chief minister of Delhi but lost the state elections two months later, when a Congress government led by Sheila Dixit came to power. Swaraj’s oratory can take on a shrill tone as it did when she threatened to shave her head, wear white and sleep on the floor if Sonia Gandhi were to become the Prime Minister of India. 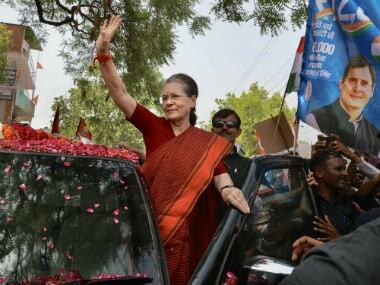 But over time, the strident anti-Sonia image has abated and she developed an equable relationship with the Congress president.